* Bring vintage romance of the Art Nouveau period to your wedding, black tie affair or special occasion with these spectacular 2 1/8" h x 5/8" w Cubic Zirconia earrings. 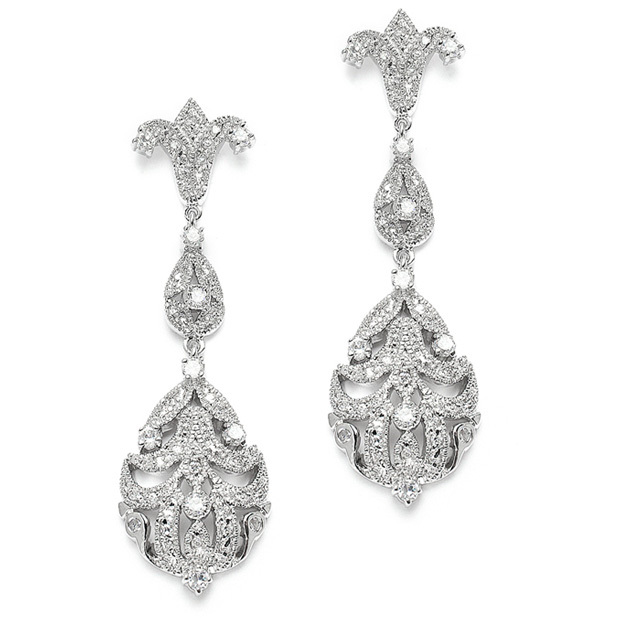 * The graceful swirls and faux marcasite give these beautiful earrings the luxurious look of priceless heirlooms. * Add these top selling earrings to your store's wholesale vintage jewelry collection for a true touch of class.